Novelist and academic Ian Sansom considers the symbolism of beds in literature, art and film, asking what they reveal about human nature. 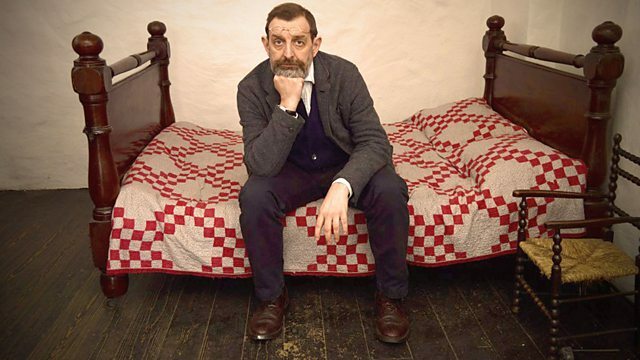 dNovelist and academic Ian Sansom explores the symbolism of beds in literature, art and film, and asks what beds reveal about human nature. 'Beds are where we are most physical, most elemental, and where we experience the great highs and lows of life. Everything significant that happens to us tends to take place in bed'. Certainly many of history's greatest thinkers and writers are thought to have been inspired in bed; G.K. Chesterton wished he had a pencil long enough to write on the ceiling while lying down, Milton is said to have written Paradise Lost in bed, and Truman Capote started his day in bed with coffee, mint tea, sherry and martinis. Ian thinks the bed is where we are most ourselves 'the place where you cannot hide', and perhaps we try to avoid spending too much time there because we fear what it signifies - 'the never-ending lie-in to come'.